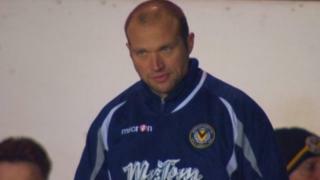 He's represented Northern Ireland, played for both Cardiff and Swansea City and now finds himself as the manager of League Two side Newport County. Warren Feeney is enjoying life at Rodney Parade. Since taking charge of Newport he has guided them out of the relegation zone and a step closer to retaining their league status. Feeney spoke to Sport Wales about keeping Newport County in the league and the enjoyment of watching both Wales and Northern Ireland in Euro 2016.